Magento 2 has taken off and, for the first time since its rumor in 2010 by then CTO Yoav Kutner, is in flight. 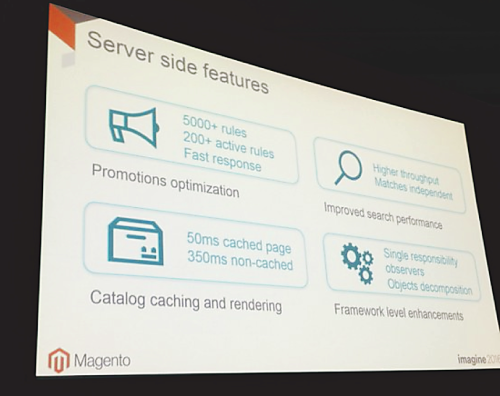 The 2016 Magento Imagine conference spared no details when unveiling the next iteration of the world’s most popular open-source ecommerce platform. Magento 2 has taken off and, for the first time since its rumor in 2010 by then CTO Yoav Kutner, is in flight. 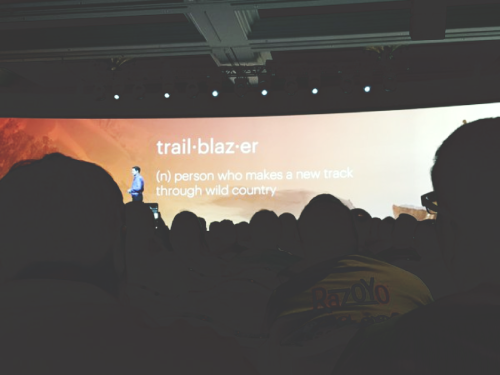 The 2016 Magento Imagine conference spared no details when unveiling the next iteration of the world’s most popular open-source ecommerce platform. A lot has changed...and a lot of speculation has been put to rest. A hot topic at the Imagine conference, through both technical tracks and general keynote sessions, was performance. Historically, Magento has required some fine-tuning to make it soar, which has left something to be desired for many merchants. Magento 2 boasts huge improvements in this arena out-of-the-box, but some early benchmarks (including this one) originally put Magento 2 at a disadvantage over its predecessor. But what the tests don’t account for - and early adopters at Magento Imagine did - is real-world application. 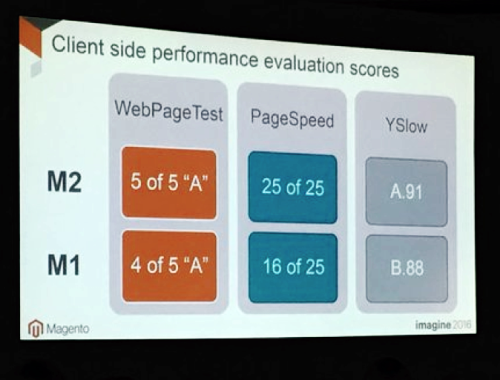 Early adopters present at Imagine this year overwhelmingly endorsed Magento 2 for its speed improvements. You don’t have to be technically-minded to understand most of these improvements. Magento 2 outpaces Magento 1 in capacity, and much of the credit for this goes to its completely re-developed architecture. It’s also important to consider the perceived performance of a website. To this challenge, Magento 2 has risen to stack some impressive marks against its predecessor. Leveraging well-known page speed test services like WebPageTest, PageSpeed, and YSlow, Magento 2 has seen improvements across the board. Magento 2 ships with a completely re-built architecture, which is one reason we waited for it. This means merchants and service integrators can take advantage of more modern technologies, including Composer, LESS, Grunt/Gulp, jQuery, RequireJS; and the application conforms to newer PHP-FIG standards like PSR-2/4. This equates to a more familiar development experience that better unifies the Magento platform with the broader PHP community. This means integrators will become more reliable when building on the platform; it also enables them to operate under continuous integration practices. This is a huge win for merchants because they will experience a greater consistency in successful deployments and iterations of their business. This year is proving ground for Magento 2. With over 250,000 merchants in the Magento ecosystem, they have a huge reputation to protect. By dispelling the rumors at Imagine 2016 surrounding the product, Magento is hoping that more merchants will make the transition to Magento 2 and encourage others in the process. If you’re considering a Magento 2 replatform, we’d love to discuss it with you in more detail! Contact us to chat with one of our Magento experts.